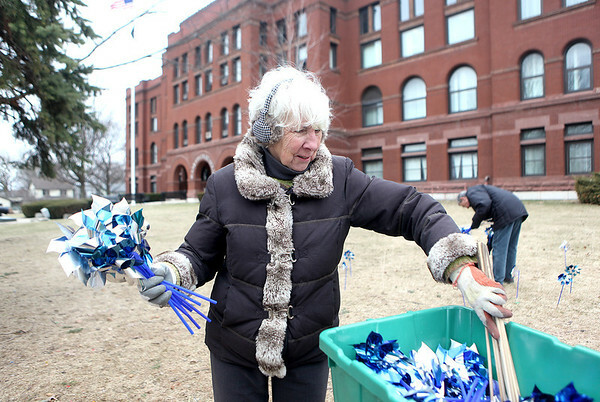 Erin Blake, a volunteer Court Appointed Special Advocate for Kane County, assembles windmills on the lawn of the Kane County Courthouse in Geneva. Each windmill represents a child assisted by a CASA this year. April is Childhood Abuse and Prevention Month.